As we head inevitably towards autumn and leave the scorching summer months behind the new slot game release are coming thick and fast, and if you’re looking for somewhere exciting to try these new titles, why not sign up a new account with Cashmio? 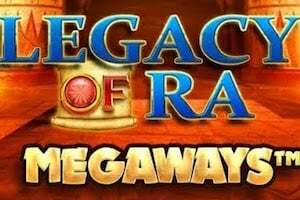 At this UK slot site there are hundreds of classic slot titles to choose from, daily slot races to win prizes, and lots of free spins offers for regular players. This is a storming funky disco slot with high, high variance and a cluster pays game mechanic. It comes with a 96.8% RTP and offers lots of free spins and multipliers to get the blood pumping. Fans of Push Gaming’s other high variance titles like Fat Rabbit and Tiki Tumble will love Jammin Jars with its massive potential payouts. From Tuesday 18thSeptember this one will be available at Cashmio Casino. Last week we announced an exclusive release for Casumo players as the follow up to bonker slot, Astro Cat, hit the game catalogue. It’s almost time for general release now and this new game will be available at Cashmio from Wednesday 19thSeptember. Astro Pug has 1,296 ways to win and includes colossal symbols, wild multipliers and sticky wilds to help push your win per spin up. Also out in the coming weeks at Cashmio are Subbuteo and Lil Red from SG Digital (Wednesday 19thSeptember), and Dragon’s Fire from Red Tiger (Thursday 20thSeptember). NOTE: These offers are for existing Cashmio customers. 50 Free Spins for Hanzo’s Dojo (Tuesday 18thSeptember) – This week try Yggdrasil’s High Variance slot, Hanzo’s Dojo, with 50 free spins from Cashmio – just deposit £20 or more to unlock the offer in your account. To be eligible for this promotion you must be a regular customer at Cashmio and have made a deposit in the last 30 days. 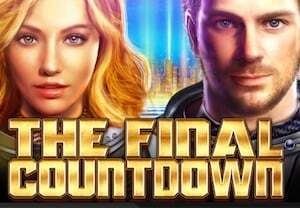 30 Free Spins for Mirror Mirror (Friday 21stSeptember) – Unlock a cache of 30 free spins to play Mirror Mirror by NetEnt when you deposit £20 or more. You must have made a deposit in the last 14 days to qualify for this offer. Existing customers can also pick up free spins for Crystal Queen and Guns n Roses – just check your account on the weekend of 21stto 23rdSeptember to find out more. Cashmio comes from the stable of casinos run by MT Secure Trade Ltd, part of the Gaming Innovation Group who also own Rizk, Guts and High Roller. This is a first class gaming operation which provides a huge game catalogue to its players, with all the major suppliers contributing. Join Cashmio today and you can take a spin on classics from Microgaming, Netent, Thunderkick, Big Time Gaming, Quickspin, Play n Go and more. Every day there are cash prizes up for grabs in Slots Race Tournaments that are quick and easy to join. You can also take advantage of a cashier with a wide range of payment options, including Neteller and Skrill. There is also a Live Chat support function available between 9am and 11pm daily. Cashmio is licensed in the UK and Malta and you can read our full Cashmio Review here.